Starting a day with perfect fragrance can not only fresh you up instantly but can also enlighten your mood for work day. A nice odor influence your brain activity and boost productivity in your business . 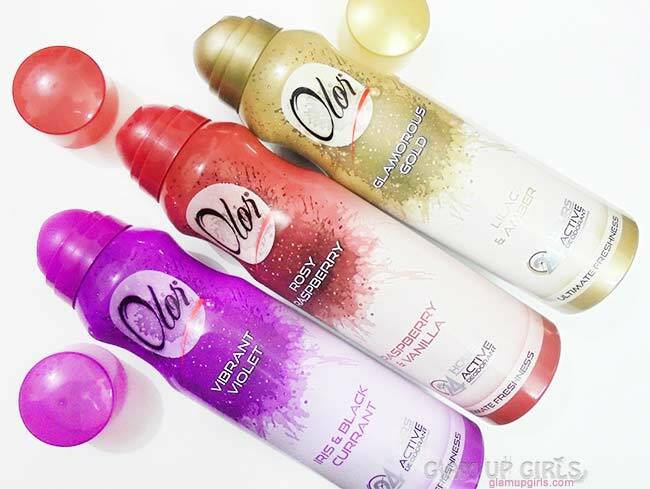 Olor have wide verity of deodorant fragrances which have essence of nature in them and one can easily find one fragrance according to their mood. Recently they have introduced three new fragrances which i am going to review today. Top notes of this fragrance is mandarin and pink pepper. However the middle notes are peach, lilac, geranium. The base of the fragrance leaves the notes of amber and patchouli. Iris is the key ingredient of the perfume, surrounded by orange blossoms and jasmine in the heart. The composition’s opening provides fruity flavors of black currant and pear, while the base is warm, gourmand and powdery due to almond like accords of tonka bean, praline, patchouli and vanilla. These deodorant comes in metallic spray bottle rather then roll on. The best way to use is to shake them for 10 seconds before applying. Deodorants are supposed to keep your body fresh and save you from being sweaty or at least turn that bad odor to pleasant one. I am glad that these one comes in spray bottle so you can spray it on clothes if you need it on run or want a good scent to keep in your bag to use during a day. All three fragrances are different and are really refreshing and above all they really are long lasting compared to other deodorants. It does stay whole day and still leaves a mild scent at the end of the day. 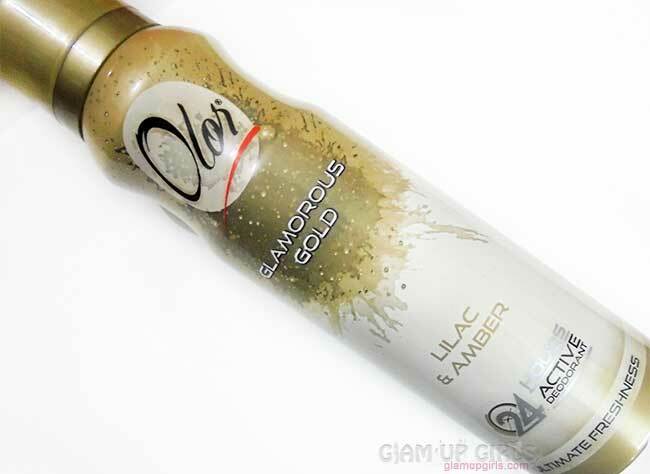 Glamorous Gold have strong scent which is not very sweet or floral even though it has olfactory details of lilac and amber but the pressence of patchouli is more strong. In my opinion it has kind of smell like areca nut (Supari) in it. So if you like bit sharp smell like areca and mint then this is perfect for you but if you are bit skeptical trying such scents then you should avoid it. I however loved this one the most. It is more refreshing and mood boosting. 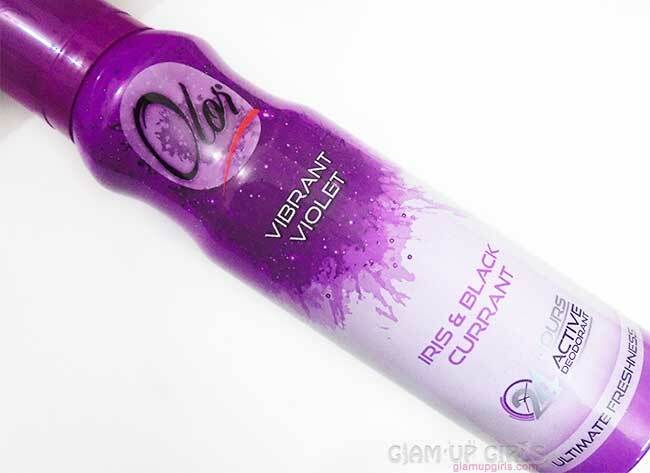 Vibrant Violet have strong sweet fruity smell which is feminine and give the cool vibes. It has the olfactory details of Iris and Black current and gives the feel of spring with fresh air filled with aroma of fruity delights. It has noticeable scent of patchouli in it as well which is refreshing. If you love sweet fruity smell then this is for you but you can skip it if you do not like to be too sweet. Rose Raspberry is a warm not too strong scent which is not too feminine but has masculine touch to it. 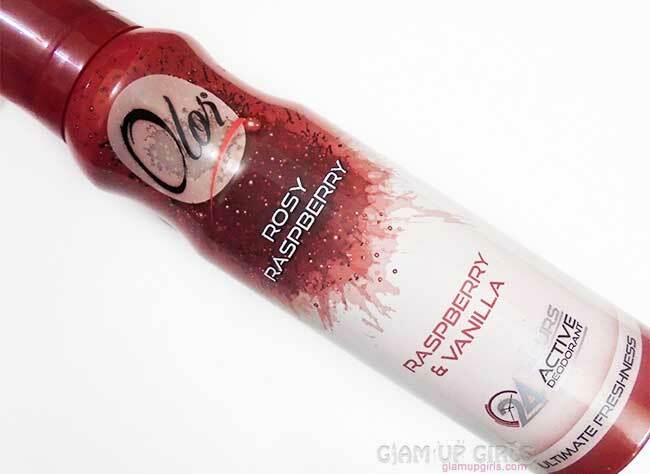 It has olfactory details of Raspberry and Vanilla and it is not too fruity or sweet but has a refreshing vanilla-ish scent. It is kind of traditional scent which you might have noticed a lot. I would say if you like warm scents which are not too feminine then this one is for you. Overall all three fragrances have totally different kind of smell which are refreshing and long lasting. I must say for the price the are best picks with their versatility and longevity. You can check their range at www.olor.no or at Facebook. 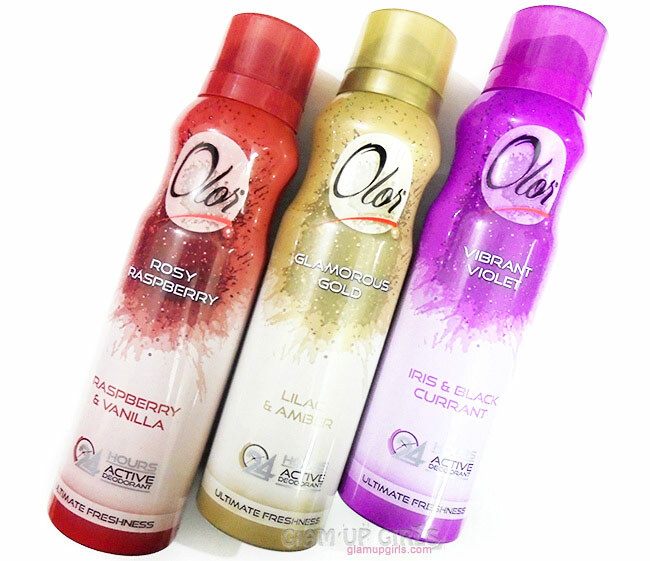 Have you ever tried any Olor fragrance? which one do you like most?